Rocket Matter Knowledge Base Insurance Defense Package - LEDES Billing- NEW!How to create a custom matter field for all matters to identify clients billing with LEDES. Please be advised that this is not a required component to run LEDES billing. 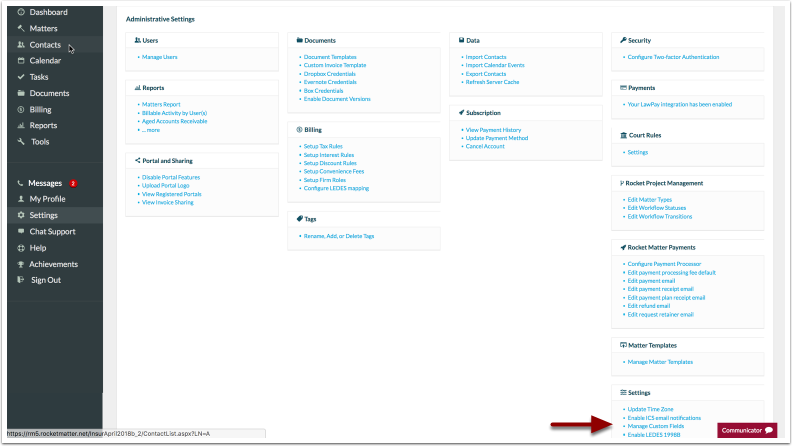 This is an option to enable filtering by LEDES when batch billing. 1. Click on 'Settings' in the left-hand navigation panel. Note: If you don't see 'Settings' listed, please contact your account administrator. 2. 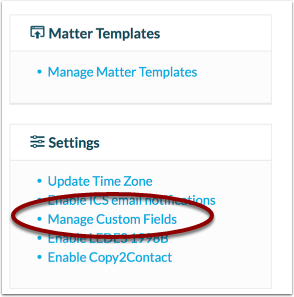 While viewing your administrative settings, scroll down to the bottom right and select 'Manage Custom Fields'. 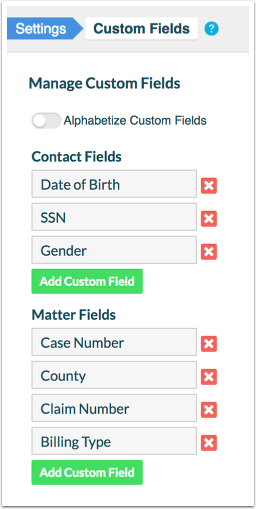 Under 'Matter Fields', click on the green 'Add Custom Field'. All matter custom fields listed below will appear on all existing and new matters. 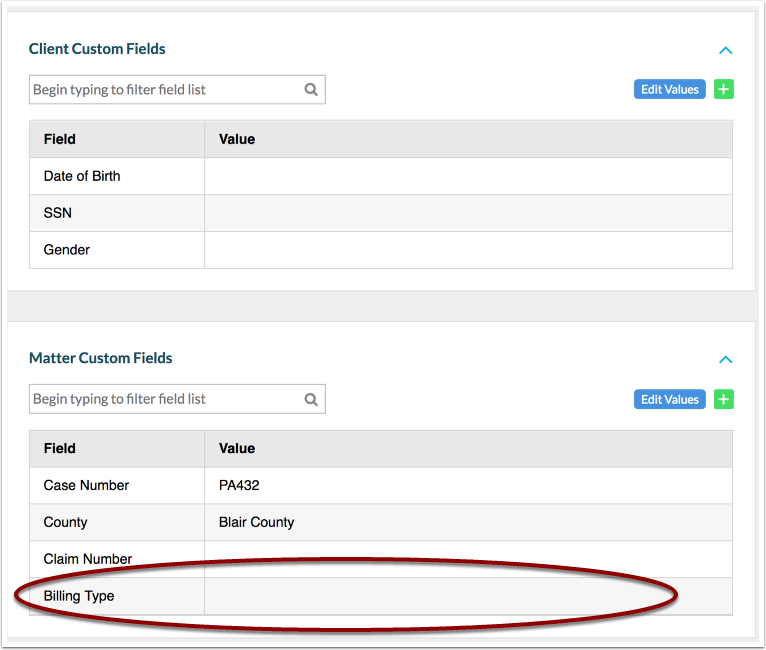 Enter 'Billing Type' in the 'Matter Fields'. As noted above, entering 'Billing Type' is a suggestion provided by Rocket Matter to enable filtering by LEDES when batch billing. 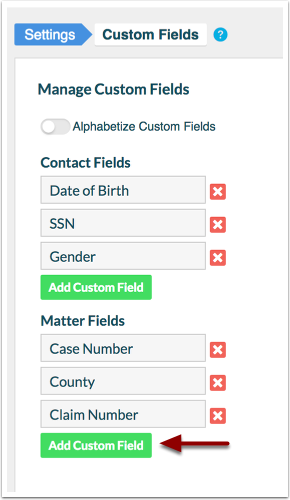 This field name can named 'Billing Type' or customized to your billing preferences. Click 'OK' on the bottom-right to save your changes. Navigate to a LEDES matter by entering the matter or client name in the global search. 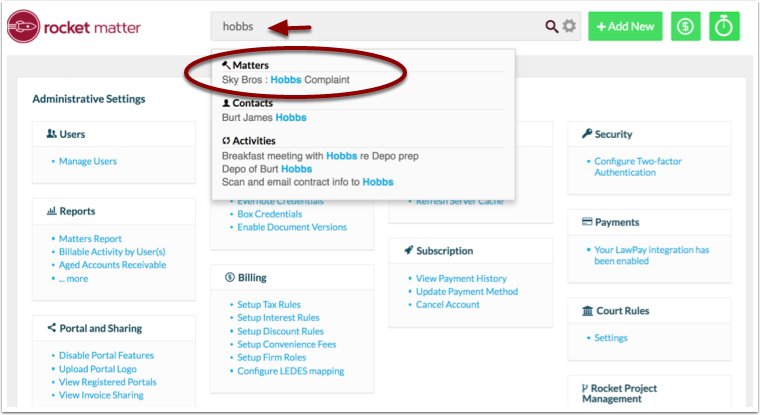 While viewing the matter dashboard, scroll down to the Matter Custom Field section. You'll notice the field 'Billing Type' has appeared. Enter 'LEDES' in the value field next to 'Billing Type'. 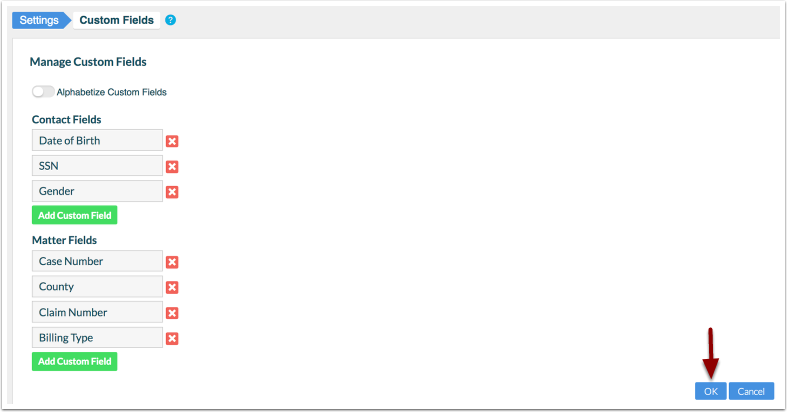 Click 'Save Changes' when complete. Find out how to bill for LEDES matters, check out this FAQ. Prev: How to assign Timekeeper ID's to a user. Next: How to run bills for LEDES only.